Kerala is famous for its backwaters, Ayurveda, divine cuisine and abundant natural beauty. Experience all this and more with our South India tour packages. Southern Comfort: Take a coconut holiday! 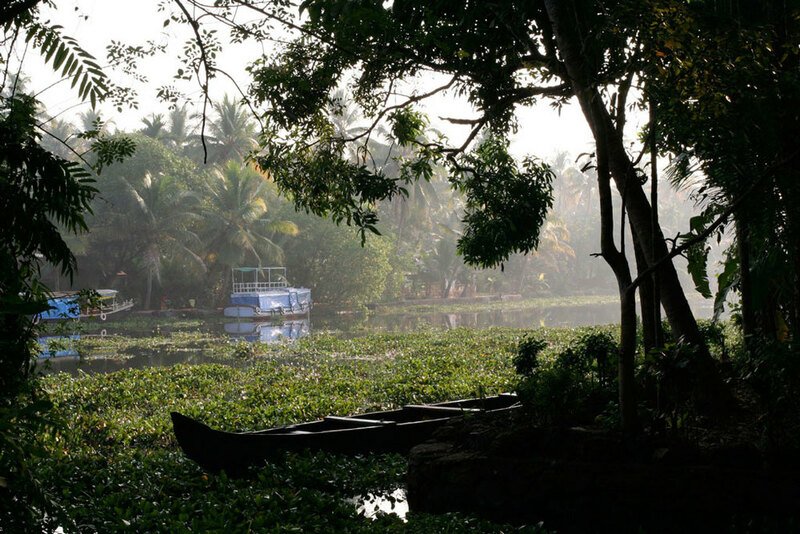 Kerala - God's own country - conjures images of lush tropical greenery and dreams of a laid back holiday. This state at the southern tip of the Indian subcontinent is blessed with an abundance of natural riches. A 600 kilometre coastline, an extensive network of interconnected canals, lakes and estuaries, thick forests and rugged peaks. Cruise down the backwaters in a traditional Kerala houseboat, rejuvenate yourself with an Ayurvedic massage, go trekking in the mountains or just lie back in a hammock on a palm fringed beach. Whatever you fancy, Kerala's there for you. Arrive into Cochin from where you will be transferred by road to Munnar, approximately 140 km away. Munnar is a picturesque hill station with a very pleasant climate, surrounded by undulating tea gardens and coffee plantations. Overnight Munnar. To spend at leisure exploring the wonderful countryside. You have a car at your disposal. Some of the attractions are the Eravikulam National Park (which includes Mt. Anamudi, the highest peak in India outside of the Himalayas), Devikulam, another idyllic hill station and the Mattupetty lake and dam with the adjoining Indo-Swiss dairy farm (great place for a picnic). Walk or drive around with the windows down and the fresh breeze in your hair. Overnight Munnar. Drive approximately 100 km to Thekkady, home to the Periyar lake and wildlife sanctuary. The place is special because of the huge lake which runs through the park, carving and meandering through the forest. Check-in at the charming Spice Village or the secluded Lake Palace set on its own island in the heart of the wildlife sanctuary. Relax and enjoy the forest atmosphere. Overnight Thekkady. Note - There’s a daily one-hour show at 6:00 pm at the Kadathanadan Kalari Centre. Kalaripayattu is an ancient Indian martial art form. The demonstration displays the incredible synthesis of mind and body that these practitioners achieve. Catch the show if you can while you’re there, it’s worth it. Day 4: Thekkady Take a boat ride on the lake to observe elephant herds and other animals that come from the surrounding jungles to quench their thirst. You could also take an optional bamboo raft ride or go on a trek through the forest in the day. Overnight Thekkady. Drive 120 km to Kumarakom near Kottayam, situated on the banks of the famous Vembanad lake fringed by coconut palms. Sip toddy and relax in this dreamy green village, with its numerous islands scattered across the water. Overnight Kumarakom. Start on a scenic ride by boat on the tranquil backwaters and join your car at Alleppey to continue your journey to Kovalam- Kerala's premier beach resort, close to Trivandrum. 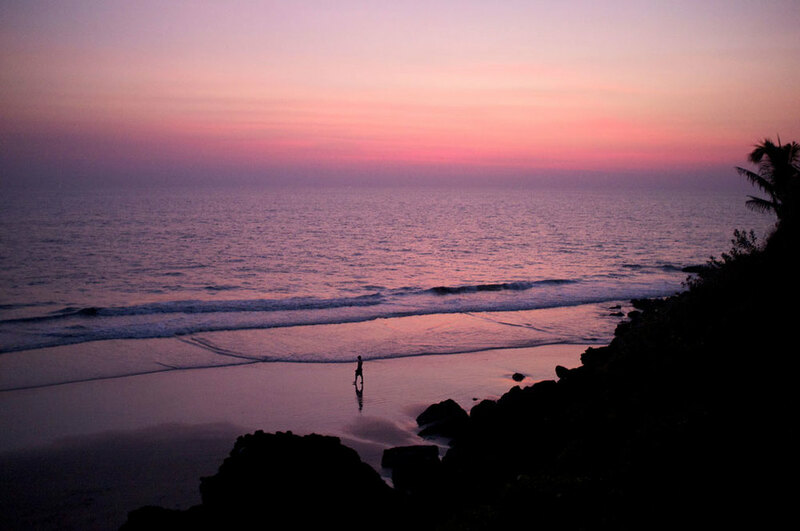 An option to Kovalam is the stunning beach at Varkala. Both these places offer a vast choice in terms of accommodation, besides delicious fresh seafood. Overnight Kovalam/ Varkala. Day free to enjoy the sand and the wind-swept surf at Kovalam/Varkala, or make an optional excursion to land's end – Kanyakumari (about 85 km from Kovalam). Overnight Kovalam/ Varkala. Visit Trivandrum city enroute to the airport. Catch your flight out.